Many business and home-owners have opted for cheaper pre-boxed retail camera systems when securing their home and business. Just one of the drawbacks of these systems, are the quality of the cables that are used for the cameras. The power and video cables included in these kits are rarely high quality coaxial cables due to the weight and size of these cables. Therefore, they end up using cheaper 22 or 24 gauge conductors, inside a flimsy insulator. These lower quality cables are lighter weight and smaller, making it much easier to fit them into a box. These cables, when they flex back and forth from installation or wind, can easily break internally, providing poorer quality video or even no video at all. Also, the jacketing of these cables is rarely weatherproof, so when they are exposed to rain, freezing temperatures, snow or other inclement weather, these cables rapdily decline. 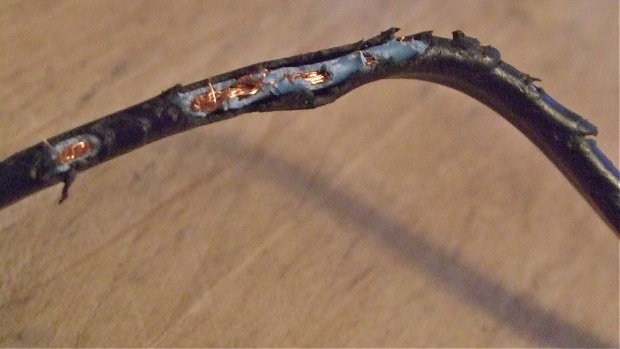 This is why many users who purchased pre-boxed systems need to replace their cables on a regular basis. Replacing these cables with more of the same will simply buy a little more time. When it comes to installing a camera system, cables are often run through tight places: attics, eaves, basements and through walls. Each of these locations can easily snag cables during installation causing these cheap cables to cease working even as soon as they are installed. The difficulty of the cable run may vary depending on location, but needless to say, it is not something you want to do on a regular basis for replacement. The good news is that their is another option for the replacement of your older, worn out security camera cables. 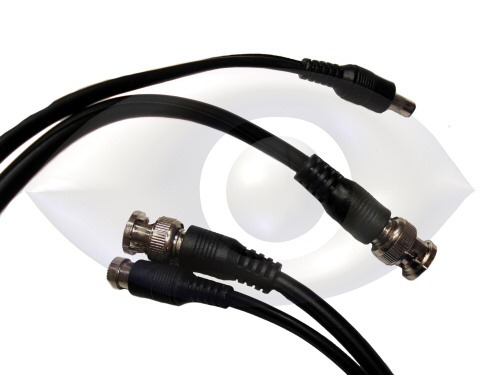 Our Heavy Duty CCTV Power and video cables have the same connectors as most pre-boxed systems, but provide a great deal more protection and quality for your camera system. This is one of the easiest upgrades you can do for your camera system to ensure years of uninterrupted use. These high quality cables start with a 95% copper shielded true RG-59 coaxial cable. 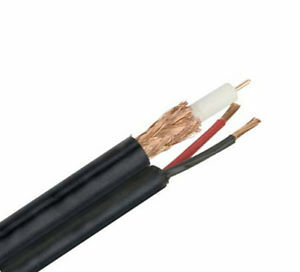 This cable provides the correct resistance for CCTV camera installations, and provides electro-magnetic noise suppression with its braided shield. 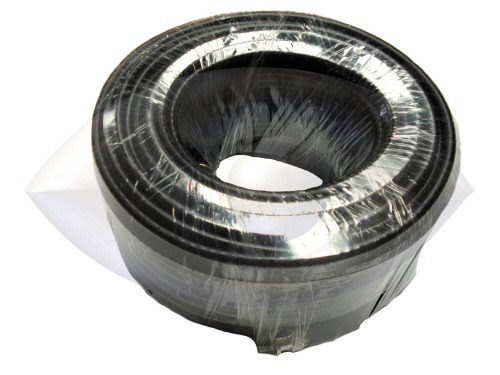 Surrounding this cable is a heavy duty all-weather protective jacket, which ensures that you wont have to keep running your cable again and again. This jacket is so strong that it will even help prevent damage that can occur during installation of a cable with cheaper style cables. Siamesed with the RG-59 coaxial cable, is an 18 GA pair of twisted copper wires with insulator as well. Smaller wires would provide more resistance, which also drops the voltage that would be delivered to the camera. With cheaper cables, depending on cable length, it may provide between 9 and 11 volts to the camera. If a camera is designed to operate properly on 12VDC, but is receiving 9.6V then it will not be able to deliver optimum video quality and especially night vision. At night, the image sensor of a camera must artificially boost the signal due to the decreased light passing through the lens. This gain boost on the video consumes additional energy, and at the same time many cameras will turn on Infrared LEDs to illuminate the area in front of the camera with IR light. These IR lights draw a great amount of additional power, and are designed to work at specific voltages. Providing lower than optimal voltage to the cameras will result in poorer quality night vision. That is where using higher quality cables will be immediately visible if your previous cables provided a bottle-neck. Our carefully designed RG-P series heavy duty cables use a braided copper 18 GA power and ground wire to ensure that the voltage is properly delivered to your camera. What about ease of installation though? You probably don't want to have to put ends on your cables in order to use them. No problem, our RG-P cables come with the BNC video connectors already installed, as are the 2.1mm barrel connectors that are used for just about every pre-boxed camera system on the market. Simply select the length of cable that suits your needs, and put our new Heavy Duty cables right in place of your older cables. 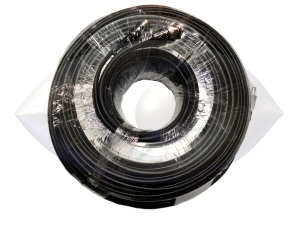 We have cables to suit virtually any length including: 25', 60', 100', 150' and 200' lengths. 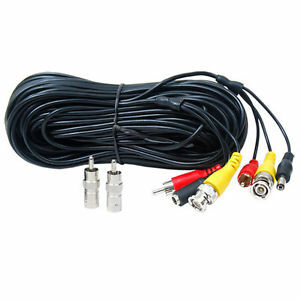 These longer cables are great for outdoor camera installations, allowing you the freedom to move your DVR recorder anywhere it is more convenient.